This week’s journal entries give us a clear picture of the daily activities being performed by our new migrants in the new colony, some of which include the planting of crops, hunting for food, building of an oven, the location for the first printing press and relationships between indigenous Australians and Europeans. At present everyone appears to be getting along and we can establish from the journal entries, that there were no convicts sent to South Australia. Did you know that South Australia was the only Australian colony to be established with free settlers? This week we look at what is was like living in Australia in 1836, making comparisons to life in England during this time and what life is like in Australia now. Which skills / jobs were needed to establish and build the new colony? What resources were used to build and establish structures in the new colony? How was food sourced in the early days of the colony? What practices were in place to ensure law and order was maintained in the new colony? Why was South Australia established as a free colony without convicts? How were resources brought to the new colony and from which locations were they sourced? What was Light referring to when he referenced “import and export of a great commercial capital”? What was the significance of Holdfast Bay, as referenced in Gouger’s journal? Why does Australia have a skilled migration program today? Which skills and jobs are needed? Mary Thomas writes about a 15 year old boy, William using iron hoops to make the colony’s first oven. Using the information provided in her journal, draw a picture of what you think it looked like. Research how ovens have changed since 1836 and show your findings on a timeline. Gouger refers to ‘plumage’ of the birds he caught. What is he referring to? Use a vocabulary map to show your understanding. In which year was it identified that South Australia needed a justice system? Did you know that James Gordon was the first prisoner to be transported to New South Wales in 1837, for stealing $10 worth of property? Use think-pair-share to discuss how he might have been transported, including the vehicle and personnel involved. Read this week’s journals and highlight references that relate to work / jobs. Develop a list of jobs associated with the activities described. Identify the job that you think you would be best suited to. Look at the jobs advertised in today’s newspaper. 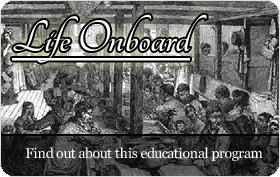 - Would any of these jobs been needed in 1836? - Which jobs do you think will be in demand in 2036? Select a job identified through this week’s journal entries and write your own advertisement for the position. What is Gouger referring to when he writes about a ‘corroboree?’ Do Aboriginal people still have corroborees today and do they differ between indigenous groups? Consider how Aboriginal people would have perceived and explained the behaviours of the new settlers. We read about three sheep that were killed by ‘the wild dogs.’ We can assume that these dogs were dingoes. Some people believe they are an introduced species from Thailand, while others argue that they are native to Australia. Stand on an opinion line to state and give reasons for your opinion. Discuss the different strategies that could be put in place to prevent further loss of livestock. Research the strategies used by farmers today to protect their animals from predators. 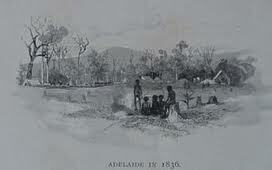 As South Australia was established with free settlers, it was thought that there was no need for a prison to be built. People soon realised that a prison was required and the Buffalo was used as a temporary gaol until 1841. Research the history of the Adelaide Gaol, significant events and how it affected the colony’s finances when built. Mary Thomas writes about how her family had to clear out the rush hut to make way for the first printing press to be kept. We already know that it was also used to print South Australia’s first newspaper, but Mary Thomas writes that it is required to ‘print the proclamation of the colony.’ Select an event from this week’s journal entries and write an article that might have appeared on the front page of this week’s newspaper. Gouger writes about planting a vegetable garden. Find out which crops are best grown in South Australia. Farming and agriculture have changed dramatically since 1836. Read the information on the Australian Government website and identify what you think are the two most significant changes. Write an exposition text to support your views. Select one type of farming in Australia and make comparisons, looking at what how the same farming is done in another part of the world. Show your findings in a way that is easily understood by others, (e.g. a model, diorama, poster, use of digital resources, etc). The first ship to arrive in South Australia in 1836 was the Duke of York, and we are now awaiting the arrival of our last vessel, the Buffalo. Imagine you are a migrant on one of these ships, use a PMI to explore the positives, minuses and interesting aspects of your experience. Discuss the types of meals that might have been prepared using the first oven in the colony. Did you know that damper is a traditional Australian bread that can be cooked in the hot coals of a camp fire? Do you think our migrants prepared and ate this bread? Research the origins of damper and find a recipe to make your own. Stevenson writes in his journal about ‘the cuttlefish in great plenty.’ View the ABC Catalyst video to learn about the cuttlefish in South Australian waters today. What are threats to the cuttlefish and what can you do to help conserve the Spencer Gulf environment and the cuttlefish? Create an advertisement (television, radio or newspaper) that educates others about the cuttlefish and the threats they face. What if one of these first migrants decided that life was too challenging in the new colony and wanted to return to England? Life in Australia for these early migrants was much less complicated than it is now as they did not have access to the same technology and had fewer demands than we have today.